THE visit of the National Railway Museum’s Gresley ‘A3’ No. 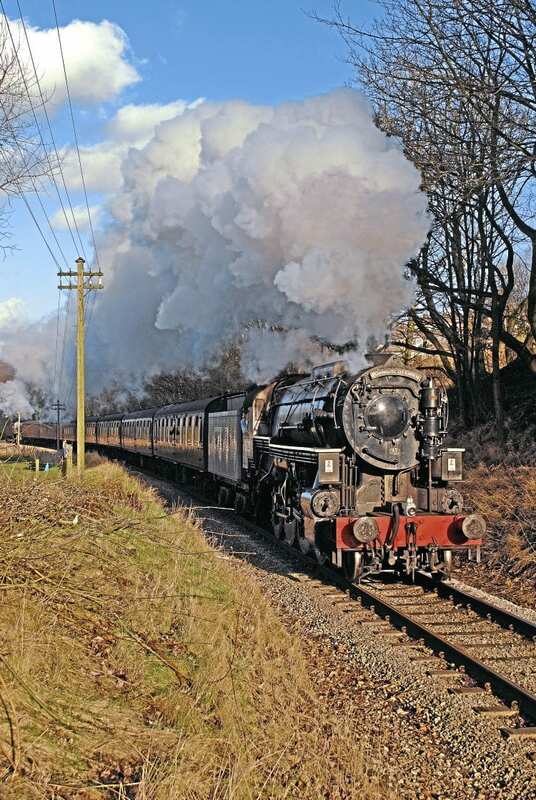 60103 Flying Scotsman to the Keighley & Worth Valley Railway (KWVR) this spring has prompted the 4¾-mile branch to make a temporary alteration to its rulebook in order to allow steam banking to take place. The KWVR will be turning out an eight-coach train to meet the high demand for seats during the BR-liveried Pacific’s visit from April 1-9, including two Pullmans, which will be top-and-tailed by No. 60103 and one of the railway’s own steam locomotives, likely to be ‘WD’ 2-8-0 No. 90733. The ‘A3’ will be positioned at the Oxenhope end of the set, enabling it to work chimney first out of Keighley. Next Post:Early 2018 for King Edward I’s return to main line service?